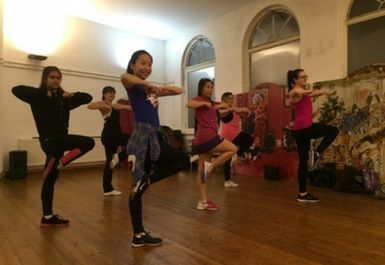 We run fun and fit dropin classes for all ages and three performance squads across London. Take class for a fun workout, great fitness training or with a view to getting involved with junior and adult performance groups. We teach kids and adults classes in pom dance, street dance, cheer stunts, side-line cheer, jazz dance & Cheer-Fit (and Birthday and Hen parties!). We also offer stretch and flex, core conditioning and strengthening classes, drawing on the exercises and programmes the squad practice every week to stay flexible and strong enough to step out on pitch. A hugely physical sport when at it's highest level, our conditioning programmes will see your fitness and mobility improve in weeks. Junior classes: The perfect after school cheer class, learning cheers, dances, stunts and jumps. Great fun (& really loud), with energy levels off the dial, kids of all abilities will love building health & confidence, keep fit & learn skills like trust, teamwork & creativity, & having bags of fun. Adult Classes: Cheerleading is a great way to keep fit, have fun and meet new friends. A fantastic strengthening and core conditioning programme, training for cheer dance, stunts and jumps improves flexibility and tones every area of the body. Class covers a cardio warm up, strengthening, conditioning and flexibility exercises, cheer dance routines and an optional section on stunts. Performance Squads - The London Roses, The Furies & The Junior Jets: We coach and run two RFC Cheerleading squad (The Barnes Jets and the London Roses), performing at professional rugby matches for Barnes RFC and charity and other events. Training for youth and adult squads takes place two Saturdays / month, usually on a match day for one of our sports teams. We also run The Furies for The London Warriors American Football Club during the summer.